Was the BrEng term “coloured” derogatory in the 1970s? Look... I owe it to myself to say this to you, okay? Leave Tony Crane. Just go far away from him. He's gonna ask you to marry him and he's gonna make you a business partner. Is that what this is all about? Does it bother you that much? A coloured bird with a bit of power? After an accident, Sam Tyler a Detective Chief Inspector in 2006, wakes up in 1973. Now a detective inspector, he has a love-hate relationship with DCI Gene Hunt—one of the most politically incorrect characters in the history of British television. Sam Tyler doesn't know if he's mad, in a coma or if he's travelled back in time. All he wants is to go back home to the future. Does it bother you that much? A coloured bird with a bit of power? I was only ten years old in 1976 and I remember the noun Black (or adjective black) was considered derogatory, almost a taboo, whereas coloured was the "polite" term used to describe anyone whose skin was dark-coloured. But childhood memories can play tricks, so I'm not absolutely certain. Was the term coloured derogatory in the 1970s? 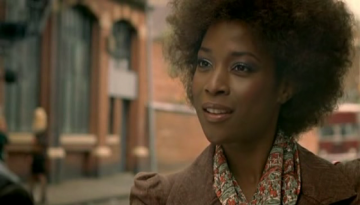 Did Eve call herself "coloured" because she knew it was offensive or did British black people call themselves that? Does it bother you that much? A black bird with a bit of power? Thinking back, I believe coloured was originally a euphemism, used to avoid the word black which British people thought, probably correctly at the time, was offensive. I believe the demise of coloured as an acceptable term dates from the emergence of black, mainly from the American black community, as a term of pride. With the growth in the use of black, I think coloured came to be seen, by some people (not all), as a patronising slur, a 'kind' way of not referring to a person's blackness, treating the fact as though it were a handicap. In this context, I think Eve was deliberately using derogatory terms. She's expressing her perception of Sam's point of view, so she uses language that reflects what she thinks he thinks of women and blacks. Based on my recollection of the 80s and 90s in a white to multicultural bit of London I would say "not really". There were certainly white people who objected but they were progressive, even hippie-ish types in other ways. 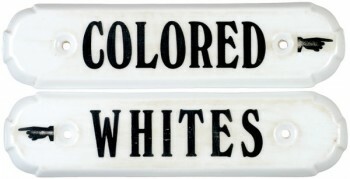 When dismantling segregation was still casually status quo in the western hemisphere, as was the case in the 1970's, several words were used as substitutes for overtly racist adjectives and the word 'Coloured' was accepted as one of those substitutes to be used in/for/with polite company. In January of this year (this is being written July of 2015) a United Kingdom entertainment celebrity gained inadvertent attention with his use of the word "coloured(s)" in a public interview. Why is/was the word 'coloured' seen as offensive in the West? Simple. It reflected an attitude of racial boundary and entitlement casually accepted at the time; in effect someone is white, or they are a person not white, and thereby colored or of color ( ... 'colour' and 'coloured' in the UK). Curiously? In Africa, the word "Coulored" has an entirely different meaning. The word 'Coulored' -- spelled thus, and outside the shared UK/US word coloured/colored word dichotomy -- is a term referring to specific South African ethnic peoples. From your original link: "Coloured referring to skin colour is first recorded in the early 17th century and was adopted in the US by emancipated slaves as a term of racial pride after the end of the American Civil War. In Britain it was the accepted term until the 1960s, when it was superseded (as in the US) with the use of the word 'black'." Here's part of an answer given by Michael Foot to a question that he was asked during a Radio 4 programme that was broadcast on 10 June 1973 (which was within just a few months of the setting of the TV programme mentioned by the questioner), called Politics in the 70's. This programme was noteworthy because it placed Foot in conversation with Enoch Powell, who was regarded by many as supporting inflammatory views about black people, while Foot was an advocate of social equality. Here, Foot is referring to Powell's contribution to the debate on race, especially the oratorical elements of this contribution. I believe the way in which he [Enoch Powell] puts his case on this subject is destructive of the community in the sense that more and more of the ... er ... coloured people in this country are born in this country; they are citizens of this country. They should have absolutely equal rights with everybody else in this country, and if they are singled out as being a section of the community that is disruptive or that should be sent back to places where in fact they weren't born, that is disruptive of the community itself. The long hesitation before he chose the word "coloured" was the only major disfluency in this section of the programme. Given Foot's views, he clearly wasn't searching for a word that was derogatory but one which was not. That difficulty cannot have been due to Foot's unpreparedness on the subject. I was 9 years old at the time the story was set, and it accords with something in my own memories of the era. In my school at that time, there were very few black children and when teachers were openly racist to them in class, it raised few eyebrows at the time. Race was such an emotive issue that a speaker could feel (or sound) awkward no matter which word they used. "Coloured" was probably the most common term that I heard used without any pejorative intent during the 70s (especially the earlier parts of the decade). Also, there were plenty of epithets of varying intensity to choose from should one intend insult. But it's impossible to get the full linguistic picture without being aware that the very subject was itself taboo. Returning to the question about the TV episode and its dialogue, it was of course television drama and all kinds of things may have influenced the script. I'd suggest that the average viewer in 1973 wouldn't have thought that the word "coloured" was more derogatory than any other word, but you'd have to ask the script writer what the dramatic intent was. Not the answer you're looking for? Browse other questions tagged british-english pejorative-language offensive-language dialogue or ask your own question. Does the word “brownie” have the same implication as the N-Word? Is the term “low-level employee” considered to be derogatory? Is 'sidekick' a derogatory term?